Located in Yongkang, China, we are an eminent manufacturer, exporter and supplier of Diamond Core Bit (TK-E). 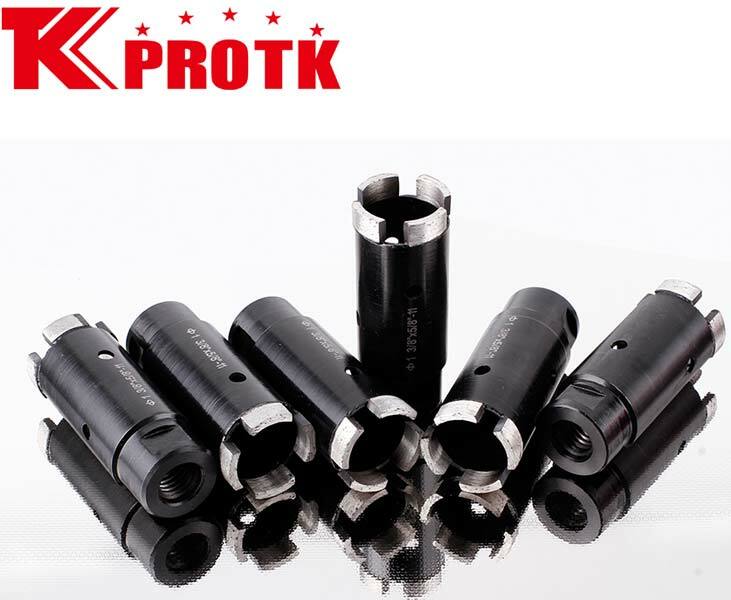 The Diamond Core Bit (TK-E) is K-E type which has diamond core bits either laser or brazed welded. The product is used to drill the reinforced concrete, brick and granite. We provide a wide range of the product at reasonable and affordable price. We do the standard packaging and delivery is done in time. Diameter 5mm to 32mm is brazed welded. Diameter 35mm to 102mm is laser welded.